The Epson Stylus Pro 3880 is an entry-level professional-grade, high-end, ultra-wide, high-resolution photo printer made to produce very large borderless prints at quality levels comparable with professional photo developing equipment. While it's not suited to fulfill all of one's printing needs, especially in environments that process large volumes of non-image documents, for the enthusiastic amateur or for the professional photographer looking for a relatively inexpensive printer the Stylus Pro line may meet your needs and at far lower long-term costs than Epson's consumer-grade photo printers. The printer measures 27" by 15" by 10" and weighs 43.2 lbs, giving it a relatively compact footprint when compared to other wide photo printers. The printer produces documents at a minimum resolution of 360 by 180 dpi and a maximum resolution of 2880 by 1440. The Pro 3880's print speeds are based on how quickly it produces prints at certain sizes. It rates 8" by 10" prints as taking from 2:03 to 7:47 to complete, with normal rated at 4:08. 11" by 14" prints are rated at 3:18 to 12:15 with 6:39 as normal, as 16" by 20" are rated between 5:32 and 19:40 with 10:59 as normal. The Pro 3880 prints to documents with a minimum size of 4" by 6" and a maximum size of 17" by 22", with borderless prints being available on 4" by 6", 5" by 7", 8" by 10", 11" by 14", 16" by 20" and 17" by 22" documents. The Pro 3880 includes three document feeders. The top-loading feeder can contain up to 120 sheets of plain paper and up to 50 sheets of photo paper sized up to 17" by 22". The second top-loading feeder is a single sheet manual feeder intended for fine art paper measuring up to 17" by 22", and the front manual feeder is a straight-through, single sheet feeder designed to take sheets up to 16" by 20" in size and up to 1.5 mm thick. The Pro 3880 has one USB 2.0 port and one 100Base-T Ethernet port, allowing for the printer to be easily made part of a network or connected to a single PC. Unlike lower-end Stylus Photo models, the Pro 3880 does not require for its matte and its photo black ink cartridges to be swapped, and instead automates this process via hardware, reducing the amount of maintenance necessary to produce non-photo black prints. 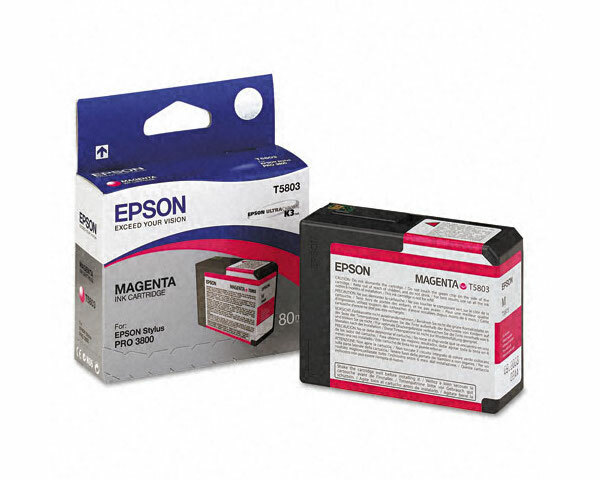 Ink costs for the Pro 3880 are much lower than on lower-end Epson printers, where ink yields per cartridge are low and printer maintenance is plagued by techniques designed to reduce ink yields even further. Epson's inkjet printers have historically suffered from problems in which the printer's heads clog and jam as a consequence of many months of nonuse. Users report that this is not an issue with the Photo 3880. 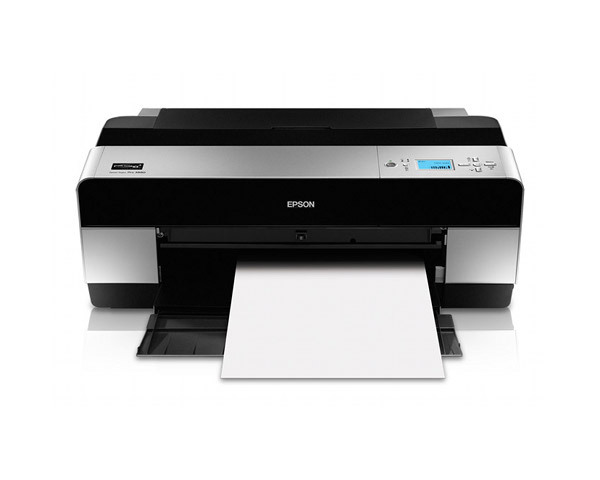 The Pro 3880 lacks many of the consumer-level conveniences offered by other Epson inkjets, such as memory card readers, a direct connection for digital cameras, or wireless networking support, all of which are available on hardware considerably less expensive than this printer. Users report that if you do not specify the correct paper type for the black ink currently being used for prints, the printer will purge large quantities of the black ink to not be used for your print, using up 4ml of ink, or 5% of a cartridge, in the process. Review it: "Epson Stylus Pro 3880 "
Because the amont of ink consumed in professional printing varies so greatly based on the quality of prints and the size of prints produced, the Pro 3880's ink cartridges are measured solely in terms of liquid yield. The 3880 requires eight cartridges, all of which yield 80 ml of liquid ink. Color cartridges come in cyan, magenta, yellow, light cyan, light magenta, photo black, light black, matte black, and light light black. Maintenance cartridges are also required, as they contain the printer's printheads and require replacement as reported by the printer's drivers.